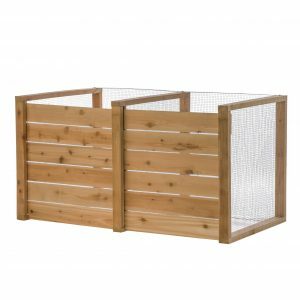 What Can Go in a Compost Bin? Our patented design makes composting easier and helps you achieve better, faster results. 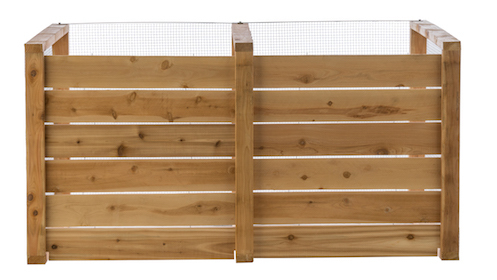 100% natural, untreated cedar wood forms the frame and slats of your bin. Cedar is naturally resistant to moisture, rot and insects. When properly installed on firm, level ground, the average bin lasts 10 to 12 years. 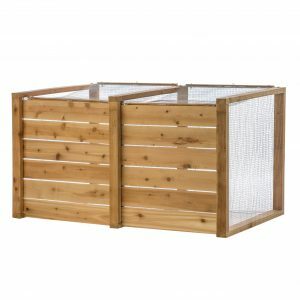 If you’re an organic gardener, you don’t want a composter that leaches chemicals into the humus. 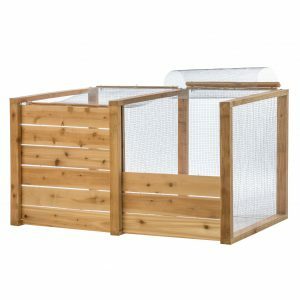 Composters made of pressure-treated (green-treated) wood or plastic can release toxins into the soil over time. Our bins are slightly wider in front, to give you easier access when it’s time to turn the pile or collect finished humus. It also increases the volume the bin can hold. 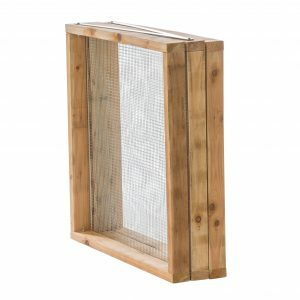 Heavy-duty mesh sides and backing ensure that your pile gets proper airflow. This helps to control odors—a well-aerated pile doesn’t smell bad. An airless pile stinks! The mesh also helps you monitor the decomposition process. It’s easy to see layers that are finished and ready to harvest, and layers that are still cooking. 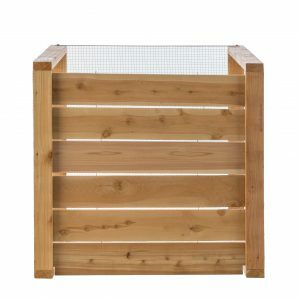 A collapsible frame makes our bins affordable to ship anywhere in the U.S.
Removable slats allow you to customize the height of each bin. Take slats out when you want to rotate the pile or scoop out humus. Add slats as the pile grows. 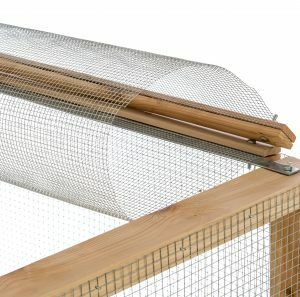 Flexible screen covers (sold with bins or separately) keep out raccoons, rodents and other wildlife, but allow vital moisture in. Our bins have no bottom, so excess moisture from the pile can seep into the ground below. Steve Watson personally selects each cedar board to ensure top quality, and builds every bin by hand. 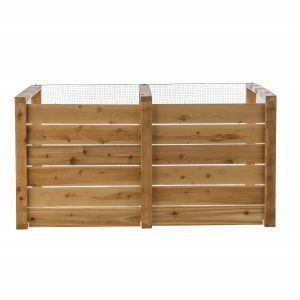 He’s been constructing cedar compost bins for over 25 years, and the workmanship is second to none. 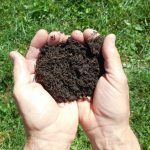 Learn how to start using your cedar composter, what’s okay to throw in the bin, what shouldn’t go in your composter, and more. Have questions about composting or using your Steve’s Earth Engine compost bin? We’re here to help. 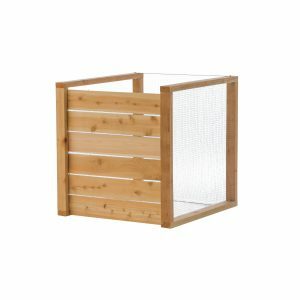 If you want to buy a compost bin, please visit our shop.